Tree and shrub care services are great for those who want a gorgeous yard but want to avoid the work, costs and risks associated with having one. Whether you want to spend time and money doing something else, or simply fear making a mistake, many business and homeowners choose not to take care of their trees and shrubs themselves. When an individual makes this decision, it will usually require the hiring of a professional tree and shrub care service provider. But when you hire one of these professionals, what exactly can you expect? 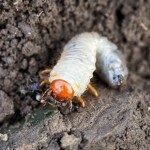 Many of us enjoy working in our yard, such as trimming trees and shrubs, keeping away pests and applying fertilizer. After all, that’s one reason why we started this company as we love doing this work! But we also understand not all home or business owners want the work associated with a well-landscaped yard. For those who would want the great looking yard, but only want to put in the work it would take to keep a giant slab of asphalt painted green, there are tree and shrub care professionals. These specialists do all the work for you, keeping your yard looking great without you having to spend a minute working on it. You will now have extra time to do the things you enjoy doing. A well-kept yard has great curb appeal. Even if you’re not trying to sell your home or business, great landscaping can increase a property’s value. Professional tree and shrub care services will help your yard looking its best. Mother Nature has her own idea of how nature should look. Most of the time, yards don’t fit with Mother Nature’s vision. 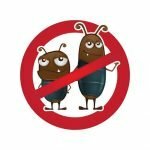 Without taking proactive steps, animals, bugs and unwanted plants will invade and potentially harm the plants you already have in your yard. There’s also the fact that improper plant maintenance, such as too much pruning, can cause serious and potentially permanent harm. Professionals know the exact care needed for each plant to help protect it and give it a long life. When you hire a tree and shrub care service, those experts will do what it takes to keep your yard looking the way you want for as long as possible. Yard maintenance requires special tools. Many of these tools involve an electric or gas powered cutting blade and are therefore very dangerous when misused. Additionally, these tools aren’t always the easiest to use and require some skill to take full advantage of them. When you hire a tree and shrub care professional, you can rely on them to have the right tools and use them properly. This can take the worry about getting hurt while using one. Another thing you can expect by having professionals take care of your trees and shrubs is that you don’t need to invest in all the equipment and materials needed. Yard equipment is expensive, so the cost of buying machines and tools is an expense you don’t need or want. Tree and shrub care experts are a fantastic source of information on yard care, which is great for those of you who want to do a little work on your trees and shrubs yourself, but don’t know where to start. You can expect knowledgeable and experienced yard care specialists to answer any tree, shrub and plant questions you may have. And if they don’t know the answer, they can point you in the right direction to find someone else who does. Many trees in a yard are often very close to a neighbor’s property. On occasion, there is a legal dispute over who has responsibility for the tree or anything that falls or comes from it, such as branches and roots. Those who work for tree and shrub services understand these legal considerations and keep them in mind when working on your yard. 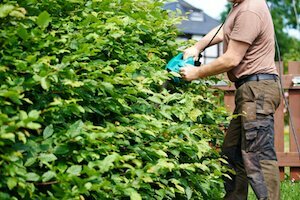 Then there’s the fact that shrub and tree service providers have the necessary certifications, licensing and insurance needed to do commercial yard work. By hiring someone who is not properly insured, for instance, you could be on the hook for their injuries if they were to get hurt while working on your property. One of the great things about having professional tree and shrub care service is that we really know trees. At Think Green Lawn Service, we can identify trees and branches that are at risk of falling and could cause serious damage to property or injuries to an individual who happens to be in the wrong place at the wrong time when a dead or dying tree decides to fall over. Get in touch with our lawn experts today.